*Please note that a family pass includes direct family only. It does not include grandparents, cousins, neighbors, friends, etc. No substitutions. 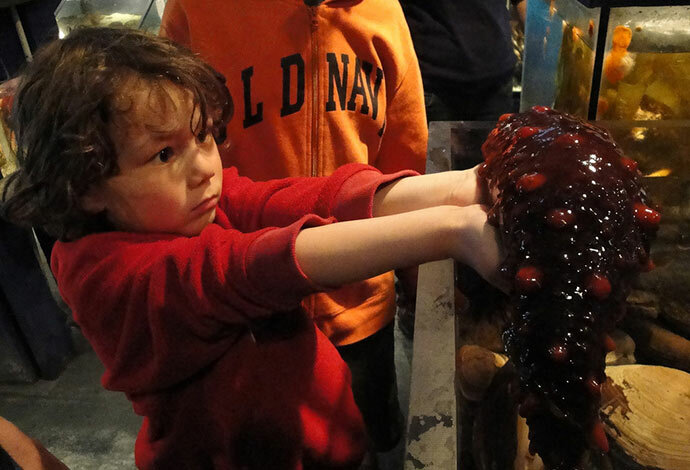 Unlimited visits to the aquarium for the season: Each season runs from mid-march until Late November. Membership is valid from your purchase date until the aquarium closes for the season. A warm, fuzzy feeling in your heart: All proceeds from membership fees go directly into keeping Ucluelet Aquarium up and running. When you purchase a season pass, you support the UA’s ongoing education and conservation goals; to raise awareness about marine biodiversity and promote respect for the ocean environment. We offer programs for school trips and for visiting tour groups. We encourage all large groups to book with us in advance to ensure appropriate staff numbers for your visit. For booking inquiries please fill out our group inquiry form and send the completed version to our school group coordinator: info@uclueletaqurium.org.